Historically known as Ceylon, Sri Lanka shares its maritime borders with India and Maldives. Due to its strategic location along the Silk Route, the country has served as a major trading point, right from the days of the Portuguese, Dutch, English and Arab. Sri Lanka's culture has been influenced by all the traders and immigrants who set foot here in the bygone eras. The country isn't only rich in history, but it's also quite well-known for its immense beauty as a tropical island. A tour to Sri Lanka is like a dream come true for travellers of every background and taste. Rainforests, wildlife and beaches are three key features that make Sri Lanka one of the most attractive holiday destinations. But that's not all! The country is also deep-rooted in religious history. It has gained world-wide popularity for being home to some of the most ancient Buddhist ruins, belonging to the 5th century. Plus, Sri Lanka has many national parks, botanical gardens, beaches etc. 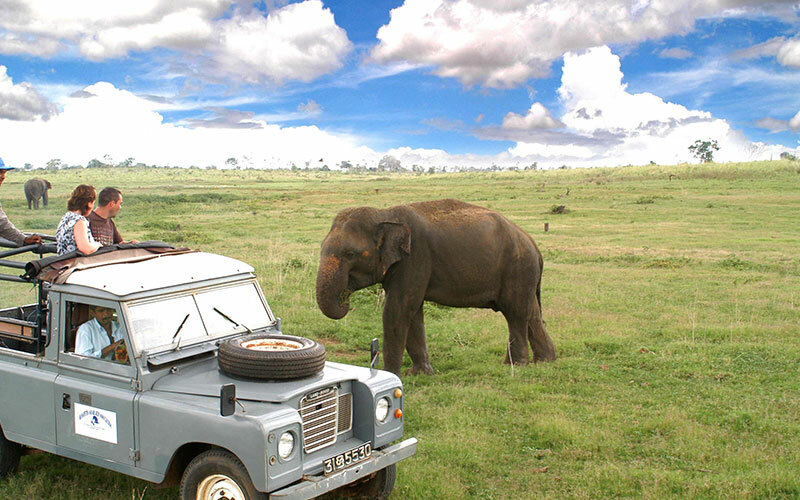 As far as wildlife is concerned, a jeep safari into the Minneriya National Park can't be missed. Sri Lanka is also as delightful for a gourmet as it is for a sightseer. The country's spicy, lip-smacking dishes speak volumes about the cultures that existed here long, long back. India has also influenced the Sri Lankan cuisine. Use of coconut milk in curries and the use of hotter chillies will quickly remind you of South Indian food preparations. While you're out savouring the Sri Lankan dishes, don't forget to have 'rice and curry', as it's the national dish of the country. During your Glimpse of Sri Lanka tour, you can be sure to have the time of your life because you'll be spending time on a tropical island that will keep you amazed at every turn. Arrival & transfer to Habarana. En-route visit the Pinnawela Elephant Orphanage Pinnawela, about 80 km northeast of Colombo, is regarded as the biggest herd of captiveelephants in the world. Among the elephants is one that lost a foot when it stepped on a mine. Another is blind and is totally reliant on humans. The elephant herd in Pinnawela makes the journey to the river twice a day to bathe under the eyes of the tourists. The sound of cameras clicking increases every time one of the young elephant babies splashes about in the water. Habarana is the hub of Sri Lanka’s Cultural Triangle. The drive will take you through small villages interspersed with paddy fields, coconut plantations, plantations and forest. Overnight in Habarana. A.M. Optional excursion to Sigiriya â€“ payment can be made direct at the site. Part hedonistic pleasure palace, part fortress and part sacred complex, Sigiriya is one of the island's most awe-inspiring archaeological sites and a leading tourist attraction. In fact some consider it to be one of the oldest tourist attractions in the world with visitors recording their impressions in some of the earliest-known graffiti. Locatednorth of Dambulla, 116km from Colombo, the site consists of a sheer rock that rises over 200m with the ruins of a palace on the top and a vast pleasure garden complex at Minneriya National Parkthe foot. For just two decades in the 5th century AD, Sigiriya rose to prominence following a power struggle between two brothers, and an act of patricide that saw the then king walled-up alive by his son, Kasyapa. Fearful that his defeated brother would return from exile to extract vengeance, Kasyapa shifted the capital to Sigiriya. P.M. Optional Jeep safari of the Minneriya National park which is famous for its migrant heard of wild Elephants This Jeep excursion can be booked and paid direct at the hotels travel desk. Located between Habarana and Polonnaruwa, the 8,890 hectares of Minneriya National Park consists of mixed evergreen forest and scrub areas and is home to favorites such as sambhur deer, leopards and elephants. However the central feature of the park is the ancient Minneriya Tank (built in 3 rd century AD by King Mahasena). During the dry season (June to September), this tank is an incredible place to observe the elephant (up to 300 of them)s who come to bathe and graze, as well as the huge flocks of birds (cormorants and painted storks to name but a few) that come to fish in the shallow waters. Overnight in Habarana. Leave for Kandy visiting a spice garden to see spices growing in their natural habitat and a batik factory to witness the manufacture of handmade batik’s en-route. 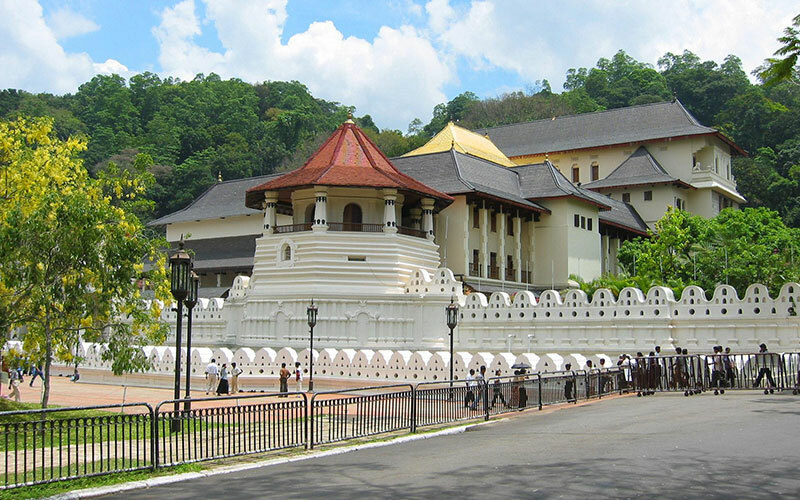 Nestled amidst lush mountains in the north of the island's hill country, the Royal City of Kandy, 116km from Colombo, was home to Sri Lanka.s last independent kingdom, Temple of the Tooth Sri Lankasurviving two centuries of colonial incursions by the Portuguese and the Dutch before falling to the British in 1815. The legacy of this proud tradition lives on today in the form of the city's distinctive architecture, art and dance. Home to the sacred relic of the tooth of the Buddha, a visit to the Dalada Maligawa or Temple of the Tooth, is an experience no tourist should miss said to have been snatched from the Buddha's funeral pyre and smuggled to Sri Lanka in the hair of a princess, the tooth relic is of great spiritual significance. Each year in July or August is the Kandy Esala Perahera (perahera means 'procession') a spectacular display of medieval pageantry that includes caparisoned elephants, fire dancers and Kandyan drummers. Evening visit the Temple of the Tooth and late evening witness a cultural performance. Overnight in Kandy. Visit the Royal Botanical Gardens. 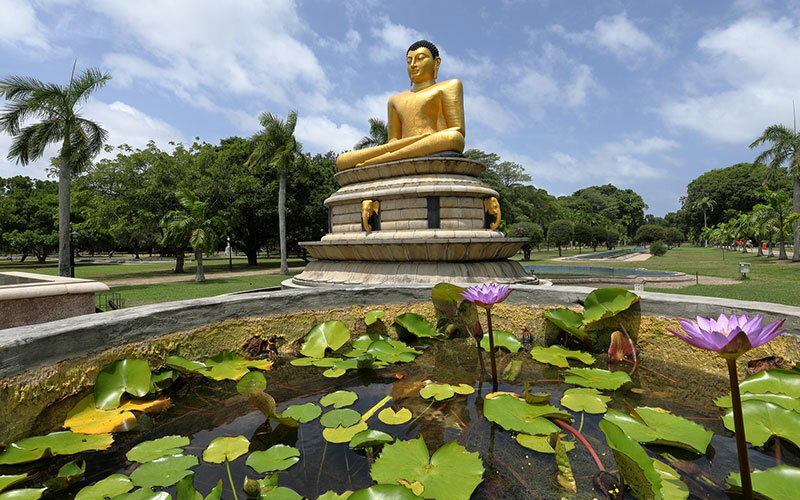 Sri Lanka’s botanic gardens have a long and proud history, punctuated by colonialism, and industrial change & throughout this period the gardens have continued to flourish, and the plant collections and herbarium grown. Here, exotic crops such as coffee, tea, nutmeg, rubber and cinchona (quinine) - all of which later became important to Sri Lanka's economy â€“ were tested. Sights include a palm avenue Beach Tour Sri Lankaplanted by the British in 1905. Another British import was the enormous spreading Java fig which sprawls across the lawn, grown from a sapling brought from the East Indies. The gardens also have stands of towering bamboos from Burma, Japan China and the East Indiaes, and a fine collection of orchids from Sri Lanka and further afield. Departure transfer to Colombo airport to board your onward flight.